Lt. Gen. Bill Phillips, US Army Ret., the vice president for Army programs at Boeing Defense, Space and Security, discusses the giant’s US Army programs, the services decision to cut funding to the Block II version of the venerable heavy-life CH-47 Chinook helicopter, working with the new Futures Command and his advice to program managers with Defense & Aerospace Report Editor Vago Muradian. The interview was conducted at the Association of the United States Army’s recent Global Force Symposium and Exhibition in Huntsville, Ala., where our coverage was sponsored by L3 Technologies and Leonardo DRS. Lt. Col. Mark Signorelli, US Army Ret., the vice president and general manager for combat vehicles at BAE Systems, discusses the company’s light tank demonstrator for US Army requirements, Archer wheeled-artillery concept, AMPV update, ground-launched rockets and new ammunition, and new vehicle concepts with Defense & Aerospace Report Editor Vago Muradian. 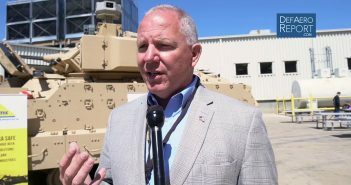 The interview was conducted at the Association of the United States Army’s 2019 Global Force Symposium and Exhibition in Huntsville, Ala., where our coverage was sponsored by L3 Technologies and Leonardo DRS. 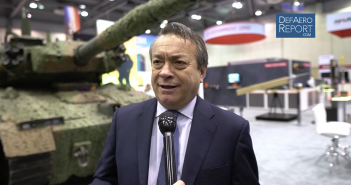 Lt. Col. Tom Carlisle, US Army Ret., the senior director for Army solutions at Elbit Systems of America, discusses the company’s Iron Vision real-time, ground-vehicle situational awareness system with Defense & Aerospace Report Editor Vago Muradian. 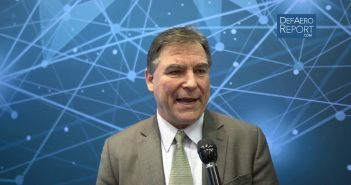 The interview was conducted at the Association of the United States Army’s 2019 Global Force Symposium and Exhibition in Huntsville, Ala., where our coverage was sponsored by L3 Technologies and Leonardo DRS. 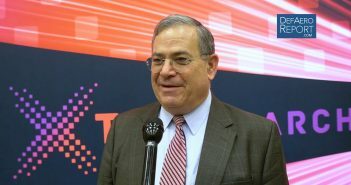 Jeff White, the principal deputy assistant secretary of the Army for acquisition, logistics and technology, discusses the service’s xTechSearch competition to accelerate game-changing technologies by funding innovative small businesses and driving innovation with Defense & Aerospace Report Editor Vago Muradian. 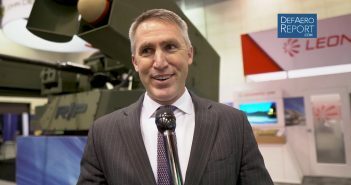 The interview was conducted at the Association of the United States Army’s 2019 Global Force Symposium and Exhibition in Huntsville, Ala., where our coverage was sponsored by L3 Technologies and Leonardo DRS. Brandon Terry, PhD, the co-founder and chief technology officer of Adranos, and the Chris Stoker, the co-founder and CEO of the Purdue University startup, discusses winning the $200,000 grand prize in the US Army’s xTechSearch technology competition and how their ALITEC solid rocket fuel could increase the missiles and projectiles by 40 percent with Defense & Aerospace Report Editor Vago Muradian. 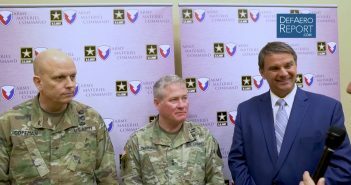 The interview was conducted at the Association of the United States Army’s 2019 Global Force Symposium and Exhibition in Huntsville, Ala., where our coverage was sponsored by L3 Technologies and Leonardo DRS. Dan Verwiel, the vice president and general manager of the integrated air and missile defense division at Northrop Grumman Information Systems, discusses the company’s missile defense portfolio, the recent successful multi-salvo national missile defense test, layered defenses and countering hypersonic threats with Defense & Aerospace Report Editor Vago Muradian. 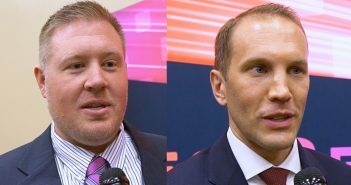 The interview was conducted at the Association of the United States Army’s 2019 Global Force Symposium and Exhibition in Huntsville, Ala., where our coverage was sponsored by L3 Technologies and Leonardo DRS. Brig. Gen. Ross Coffman, US Army, the director of next-generation combat vehicles cross-functional team at US Army Futures Command, Maj. Gen. Brian Cummings, US Army, the service’s program executive officer for ground combat systems, and Jeff Langhout, the director the Combat Capabilities Development Command’s Ground Vehicle Systems Center, discuss future manned and unmanned combat vehicle programs with Defense & Aerospace Report Editor Vago Muradian. 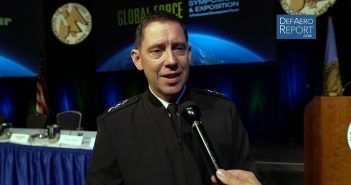 The interview was conducted at the Association of the United States Army’s 2019 Global Force Symposium and Exhibition in Huntsville, Ala., where our coverage was sponsored by L3 Technologies and Leonardo DRS. 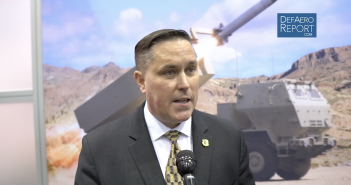 Col. Robert Kelley, US Army Ret., director of integrated air and missile defense business development and strategy at Raytheon, discusses improvements to the company’s Patriot air and missile defense system with Defense & Aerospace Report Editor Vago Muradian. The interview was conducted at the Association of the United States Army’s 2019 Global Force Symposium and Exhibition in Huntsville, Ala., where our coverage was sponsored by L3 Technologies and Leonardo DRS. Lt. Gen. Eric Wesley, US Army, the director of the Futures and Concepts Center at the service’s new Futures Command, discusses the future warfighting environment, Multi-Domain Operations and partnering with its sister services with Defense & Aerospace Report Editor Vago Muradian. 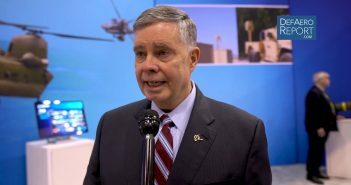 The Interview was conducted at the Association of the United States Army’s annual Global Force symposium and exhibition in Huntsville, Ala,, where our coverage was sponsored by L3 Technologies and Leonardo DRS.